As a child, I can remember walking out to a room stacked high with presents, toys scattered and utter chaos on Christmas morning. Fast forward to when I had my own children and I did exactly the same thing! Wasting lots of money in the process by filling the room with toys and showering them with gifts that were largely unnecessary. A few years ago, I realised it wasn’t what I wanted Christmas to be about for my children. I wanted Christmas to be about family, fun and making precious memories for them. Buying thousands of dollars worth of toys wasn’t gifting them that at all! Sure, they were happy and had fun with all the toys, but when I decided to simplify our Christmas they still had loads of fun. The excitement was still very much there and we all enjoyed the strong sense of family woven throughout the day, so much more! These days, I spend just $100 per child and put the rest away in our “Family Holiday Trip Account” so we can all enjoy a wonderful adventure abroad together every few years. 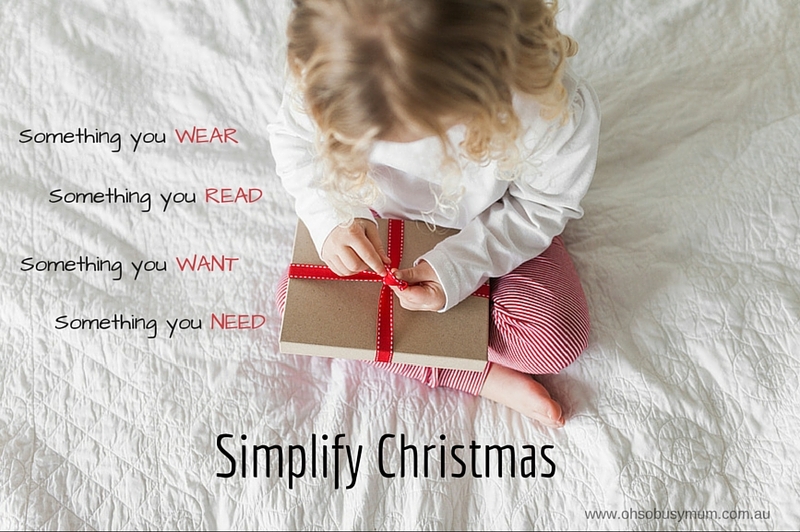 I started following this little rule to Simplify Christmas for our family. 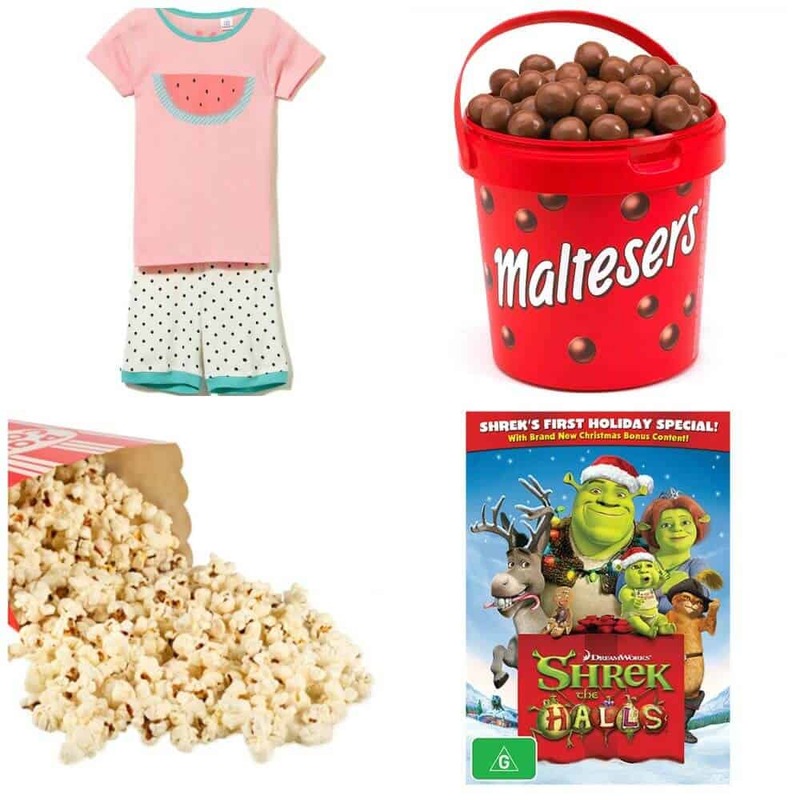 Something you wear – pyjamas, clothing, jewellery, accessories, etc. Something you read – books, magazines, subscriptions, etc. 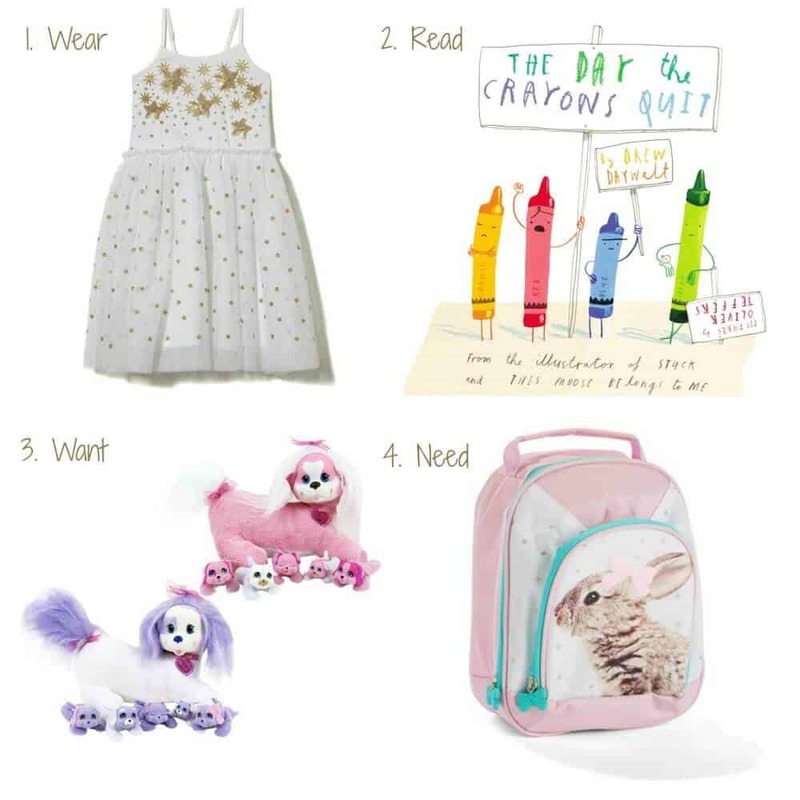 Something you need – clothing, underwear, back to school stuff, shoes, etc. Another tradition I introduced was “The Night Before Christmas Box”. I give this to each of my kids after dinner on Christmas Eve. We spend the evening watching Christmas movies, snacking on popcorn and treats and laughing together. It really helps to build up the excitement for Christmas Day and more importantly, it allows us to spend some quality time as a family. Kmart has some great wooden Santa boxes for only $12 that work really well for this purpose. I always buy the kids a new set of pyjamas for their boxes and getting them the night before also works beautifully for the obligatory Chrismas morning photos in their new PJ’s! Do you have any fun and meaningful family Christmas traditions that you follow in your house? I would love to hear them! How to jazz up those Christmas presents!